What to Wear Wednesday – Sweet Tooth! I was feeling a sweet tooth today. My mind drifted to the decadent delicious doughnuts created by our FC Ambassador Ashley Jacot De Boinod, owner of Glory Hole Doughnuts – a gourmet doughnut shop that opened its doors in Parkdale this summer to rave reviews! I put together this simple and cozy fall outfit with that in mind. Black skinny Yoga Jeans are slim, classic and smart (with a great amount of stretch) and this bamboo jersey cowl teck top in a rich eggplant colour (compliments of Studio Fresh) floats gently over your curves (leaving just enough room if you can’t resist a second sweet)! Frost your outfit with some sparkly gems from Sugar Rush (see what I did there?) and slide into some slouchy Miz Mooz boots to complete the look! 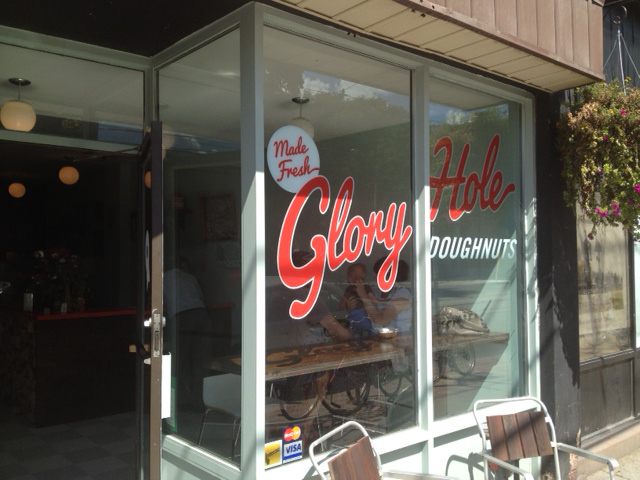 Click here to learn more about Glory Hole Doughnuts! Fresh Collective is here because of all the wonderful people who join us on our journey – designers, staff, fans and customers. It’s important to us to be part of the community, spreading joy and beauty through what we do in many ways. We’re looking for a few good women to help spread the word about what’s fabulous at Fresh Collective. Your mission, should you choose to accept it, will be to join the inner circle at Fresh Collective. You’ll get first glimpse at our clothing each season, get products to review, and you’ll be treated like a Fresh Collective VIP with photo shoots, product samples, invites to special events (ours and other people’s too!). In return, we ask that you share the good word about what you have experienced through our FC Ambassador program. Rant and/or rave about the product we’ve provided you, share the experiences you’ve had with us on your social media channels (and ours) and help us spread the good word. Phew, being a social butterfly is hard work! If you’re interested in being a 2013 FC Ambassador, click here and tell us why! Also, meet our current FC Ambassadors here. We got our fab party snaps back from our great event photographer! Check out the great fun we all had at last weeks Bullfrog Power event at the Roncesvalles store! And to our amazing designers, FC ambassadors and store staff for filling the Roncesvalles location with fabulous people! We’re so proud to be Bullfrog Powered! Fresh Collective Bullfrog Event via Twitter! Last night we played host to a fantastic event celebrating our new partnership with Bullfrog Power! We had an amazing turnout of FC Ambassadors, Staff, Designers, new friends and the wonderful staff of Bullfrog. We had a wonderful evening and are so unbelievably proud to have all 3 FC locations powered by Bullfrog! More fantastic images to come! 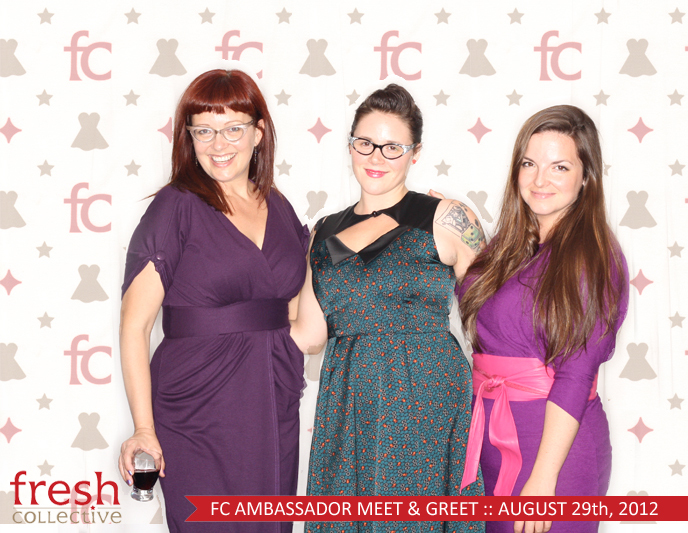 Re-live last night with our FC Ambassadors!